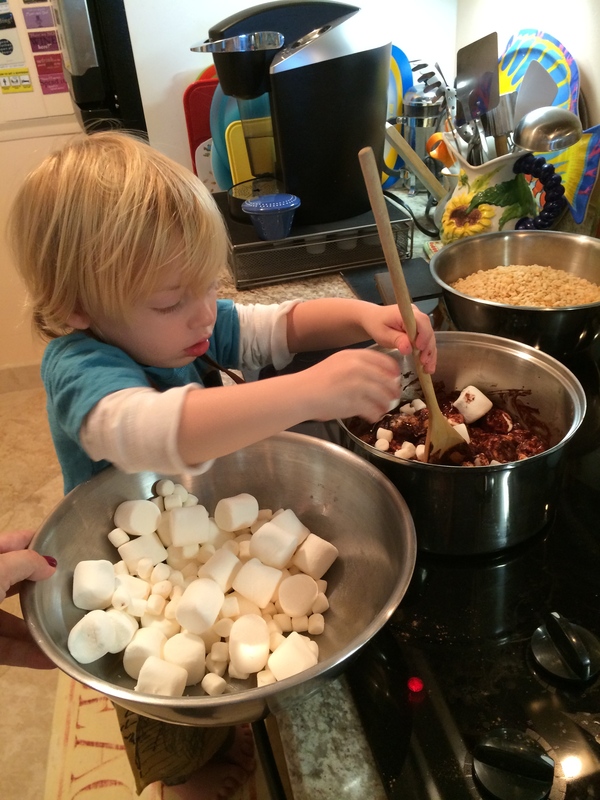 So what better way to show him my love but to make Rice Krispy Treats and let him help? Chocolate Rice Krispy treats no less. 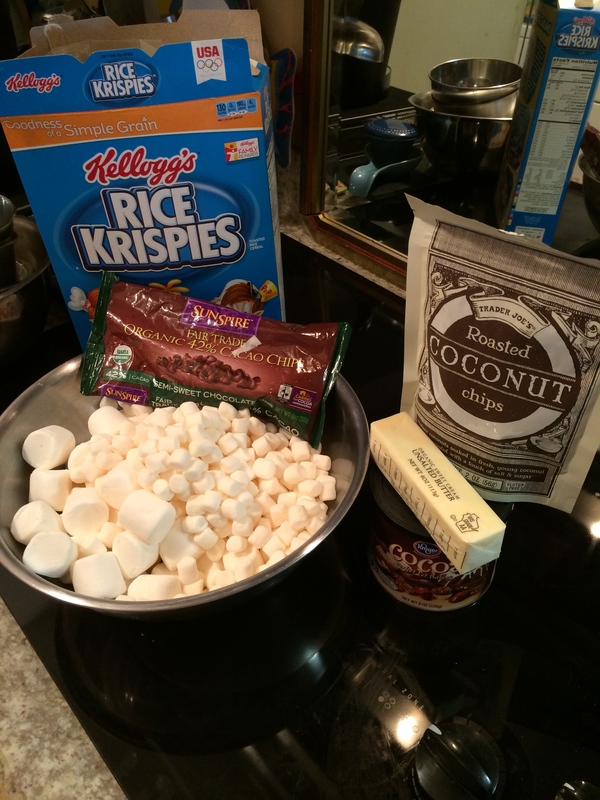 Actually Chocolate Coconut Rice Krispy Treats! Hey….go big or go home. 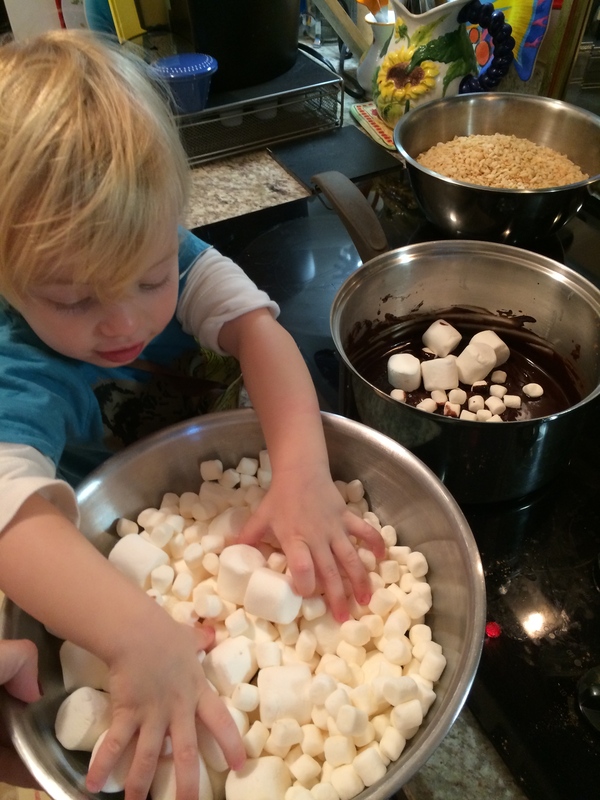 They are a fun treat, that is Gluten Free and one of those “recipes” thats pretty difficult to mess up. 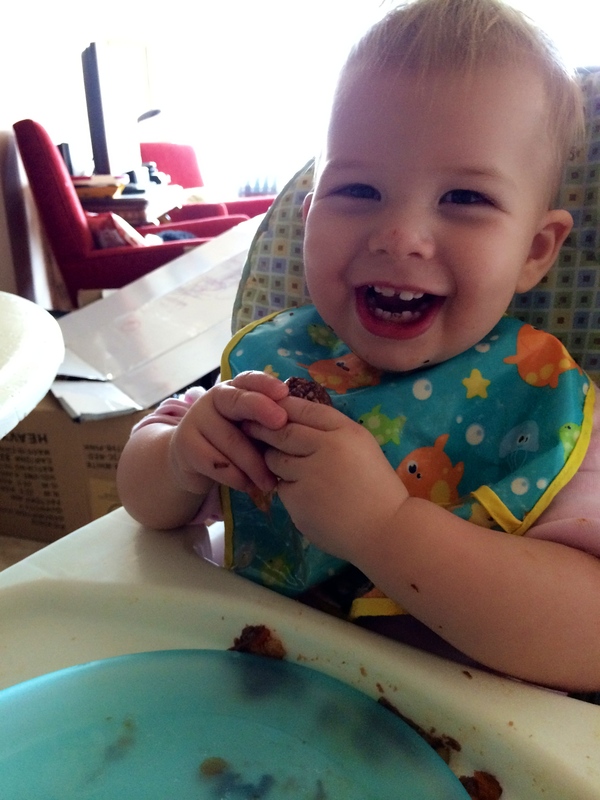 Plus it makes the little monkey’s happy AND satisfies Zia’s chocolate craving to boot so it’s an all around win-win. 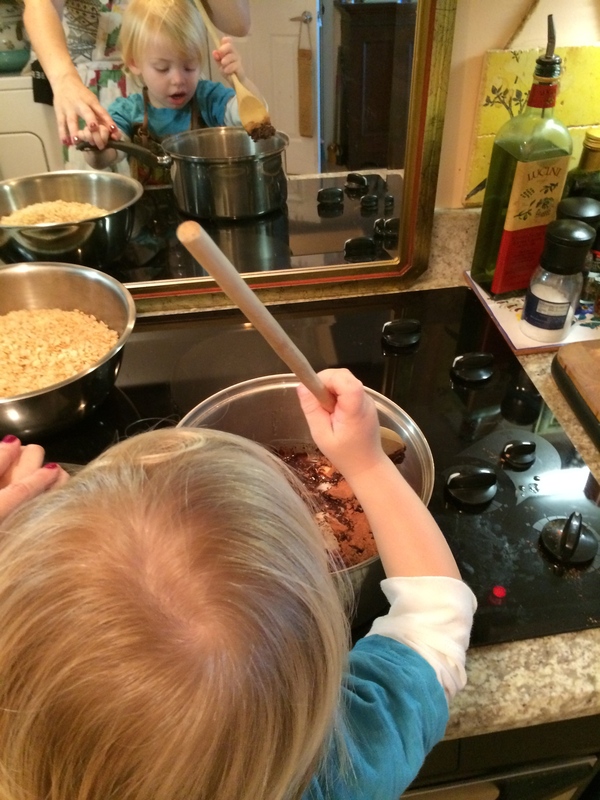 I was rather….loose with the recipe….it’s hard to be a stickler and frankly all you have to do is google Rice Krispy Treats. 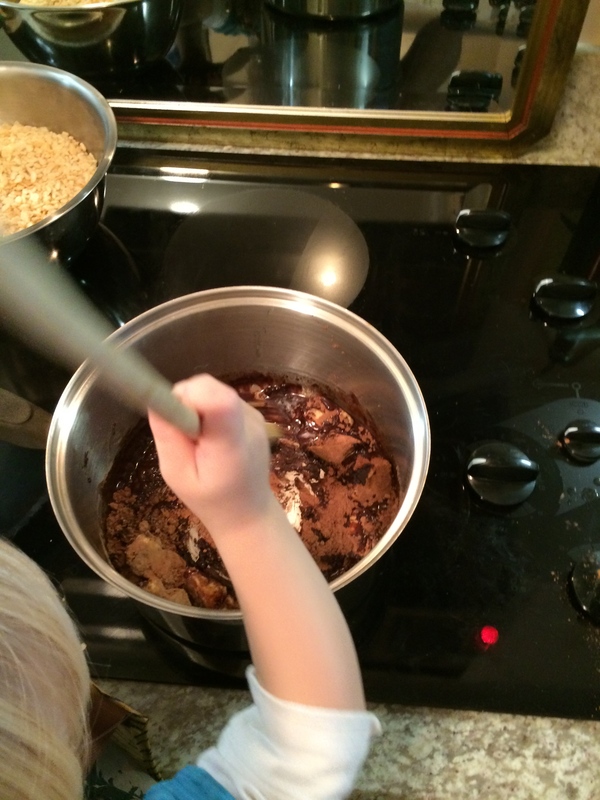 I just added organic chocolate chips, cocoa powder and toasted coconut, and really I am just posting this because of the cuteness of littledude “cooking”. 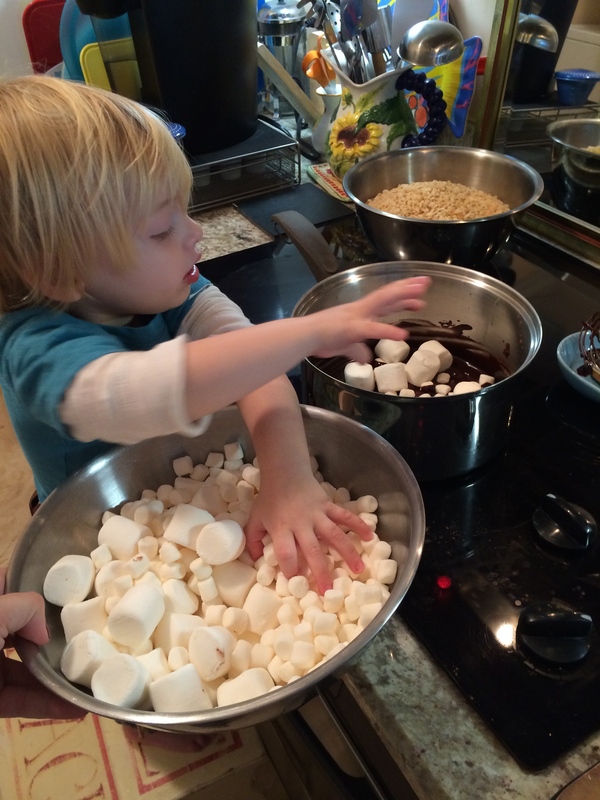 Rice Krispies, Marshmallows (any size or combo) Organic Unsalted butter, Organic Cocoa Powder, Organic Chocolate Chips, Organic Roasted Coconut flakes. 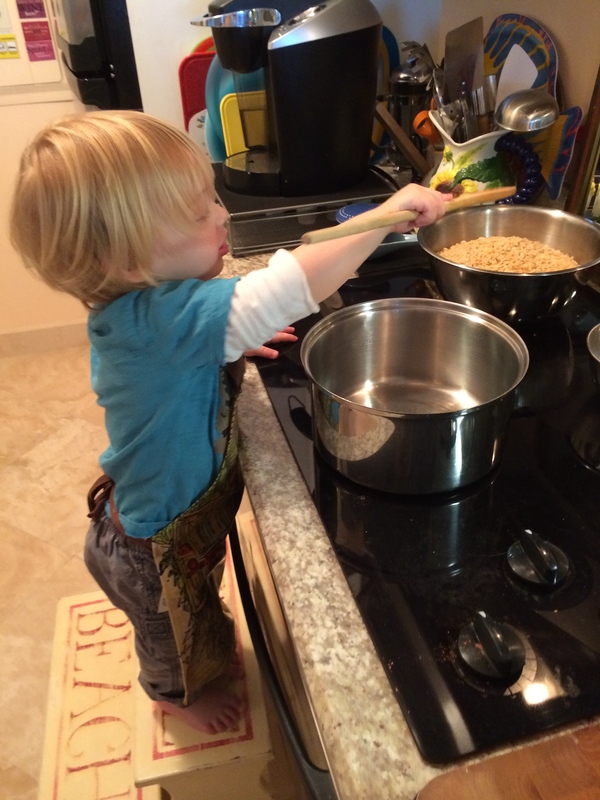 First up, get a pot, wooden spoon, step stool and apron for the little one. 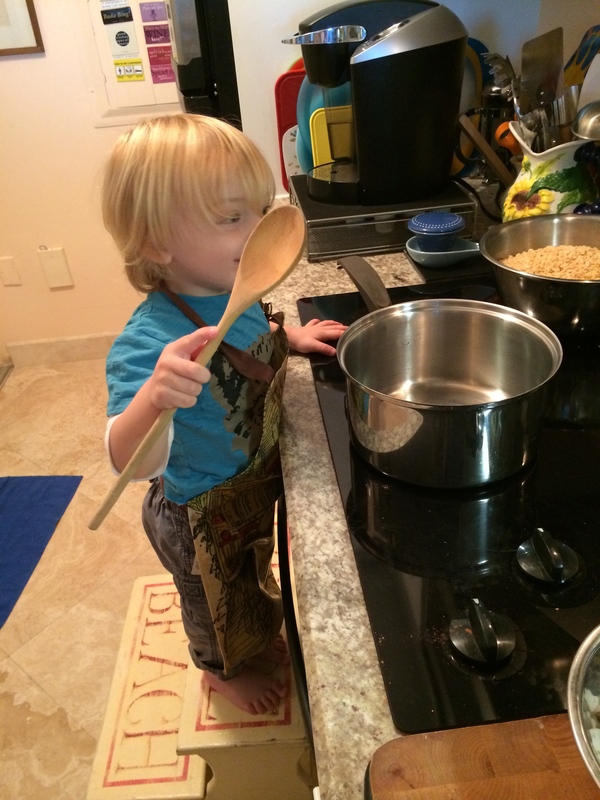 Littledude is sporting his Zia’s vintage Winnie the Pooh apron. Best to have all ingredients prepare/ measured and ready. 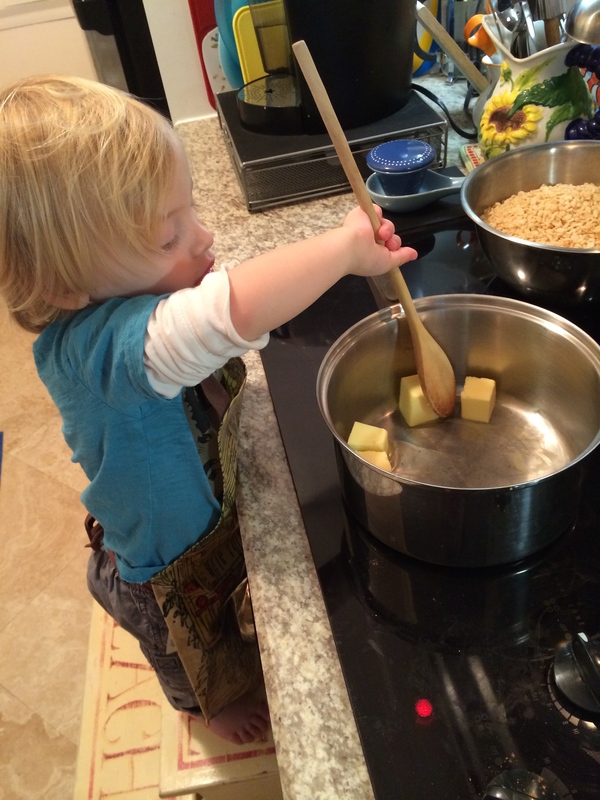 Add butter to pot over medium – to medium low heat and stir while it melts. Add Organic Cocoa Powder, I added a few tablespoons, and stir until well combined. 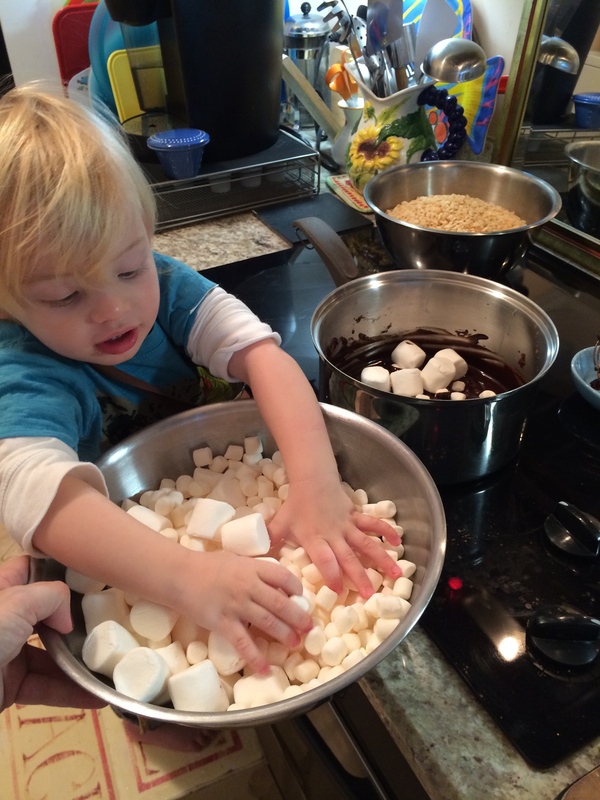 Keep stirring buddy, don’t want those marshmallows to stick! Once all of the marshmallows were melted I removed from the heat and added the Rice Krispies about a cup of chocolate chips, about 2 handfuls of the coconut and stirred all to combine. That part takes some elbow grease so Littledude watched. Now here’s the bummer. 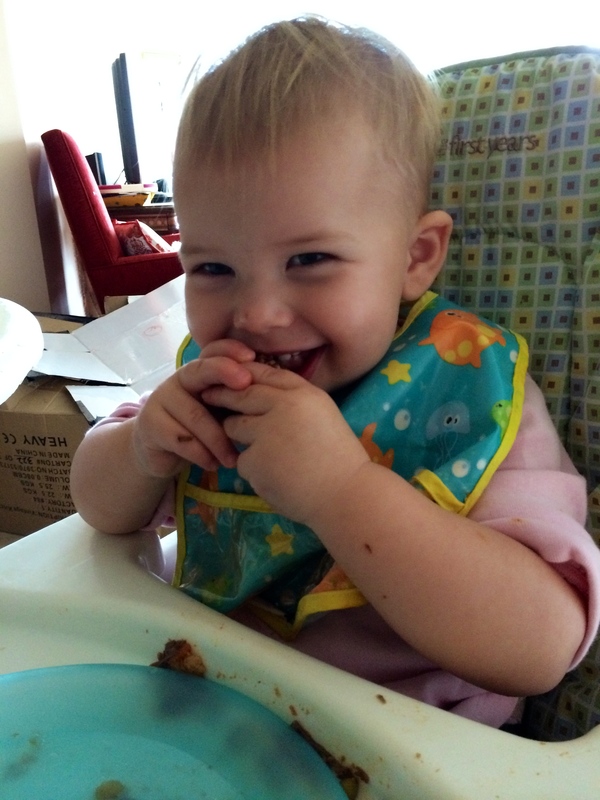 As we were alone, well not alone but my other little Valentine – Ladybug – is more apt to run away with my iPhone/Camera then take pictures for us, and working with gooey chocolatey sticky gobs of rice krispies is not conducive to operating a camera. I could have put the whole mess into a wax lined pyrex to make my life easier, I also could have dyed them pink and made them heart shaped but realistically…. 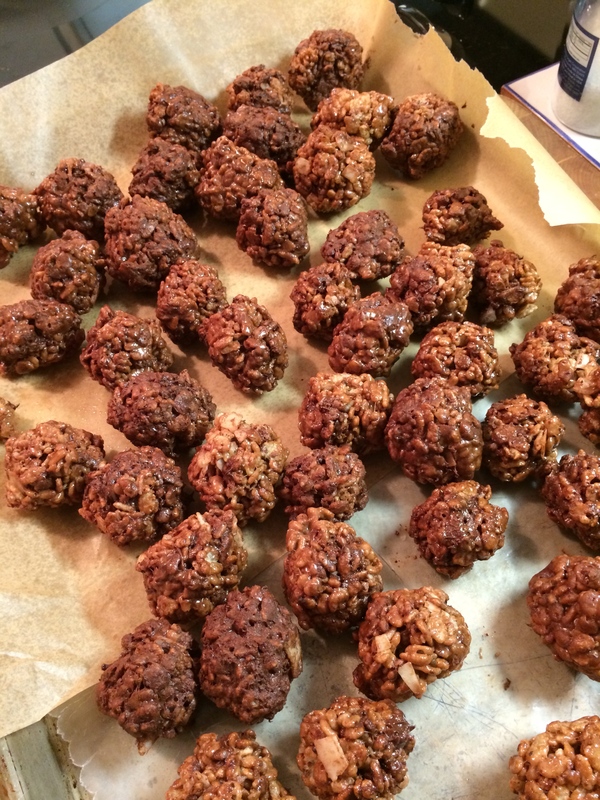 Littledude wanted to be more of a “help” so we rolled them into 2-bite sized balls. Well I rolled, he just took a handful, smashed it together and put on the waxed tray. Close enough! And Voila! 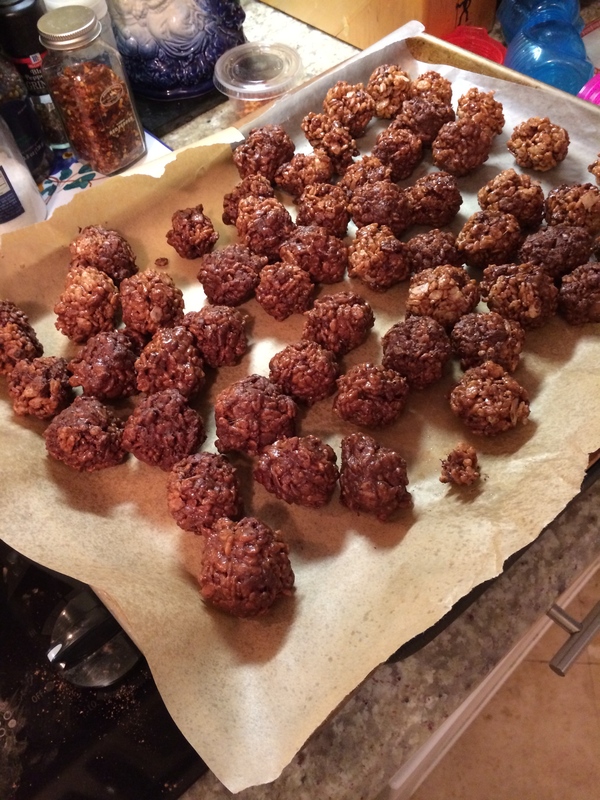 They certainly don’t look like all of those beautiful perfect ones you find all over Pinterest, (but I am convinced those were not made in an apartment kitchen the size of a walk in closet with a 2 year old “helping”)…. Ladybug could care less what they looked like, she loved them. So did Zia. Perhaps a bit to much. I’m going to have to head to the gym.